Following some lineup changes, Crystal Antlers sound leaner on Nothing is Real. 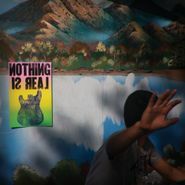 That turns out to be a very good thing, as Nothing is Real reduces some of the psychedelic clutter, which could be wonderful but also sometimes obscured the tunes on previous releases. Songs like "Rattlesnake" retain the fury for a ferocious chorus and employ loud-quiet-dynamics that seem to fit this band very well. The band also enters power-ballad territory with the gorgeous "We All Gotta Die," one of their best songs yet. If you haven't yet checked out Crystal Antlers (or haven't in a while), now's the time.